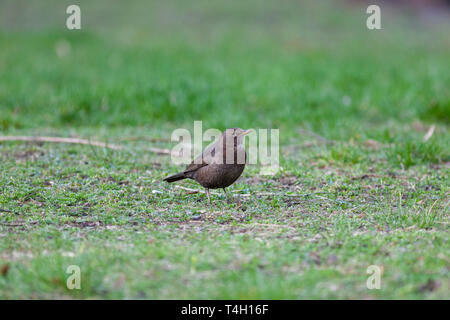 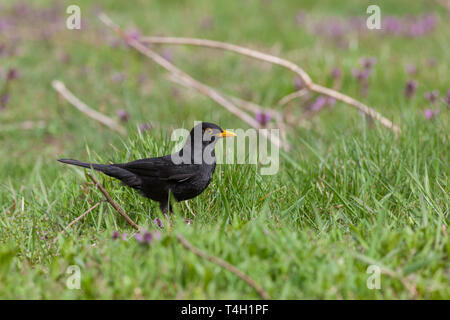 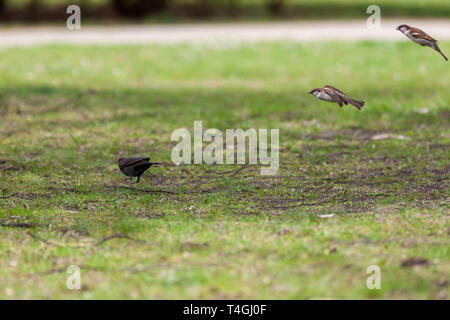 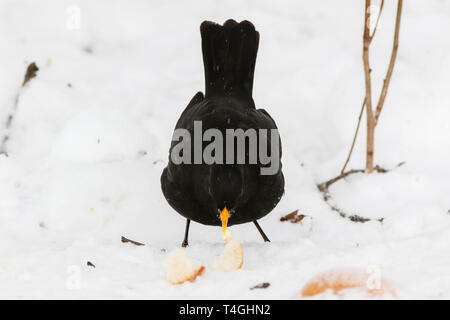 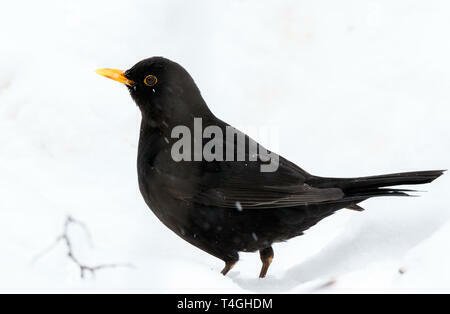 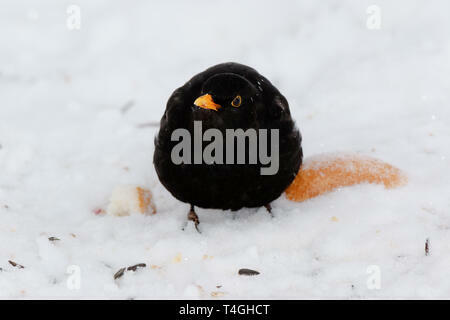 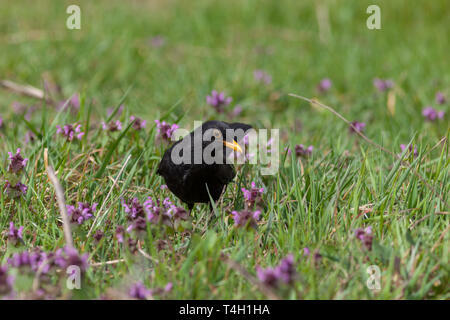 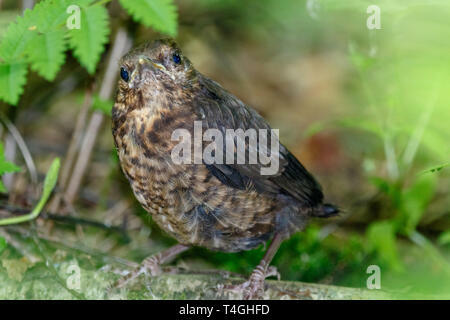 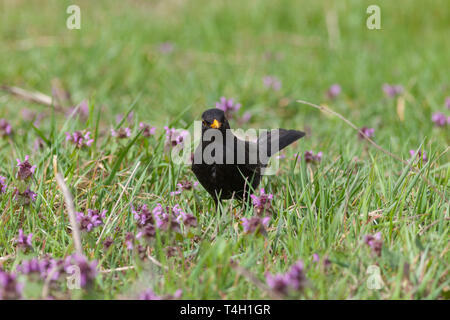 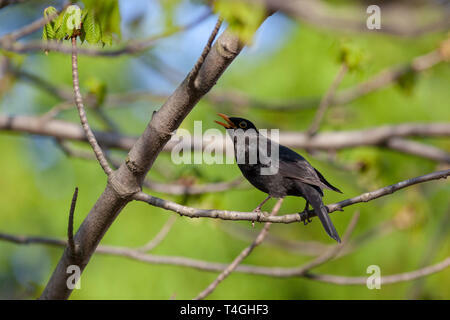 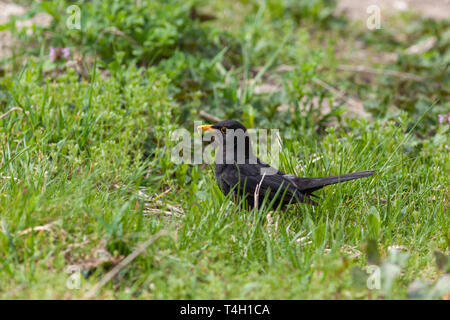 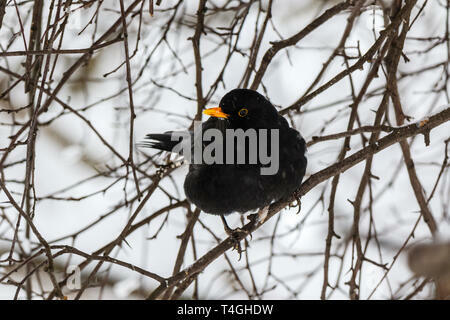 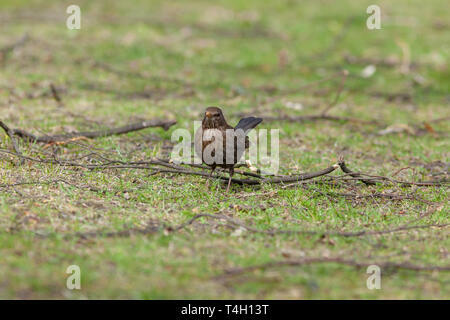 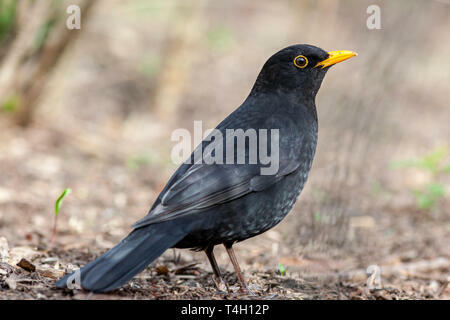 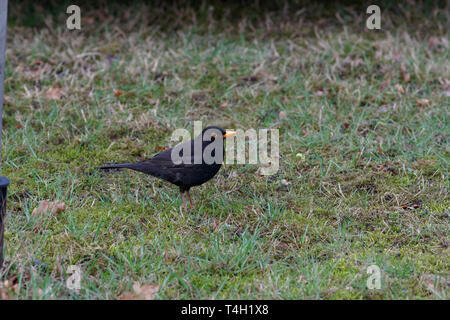 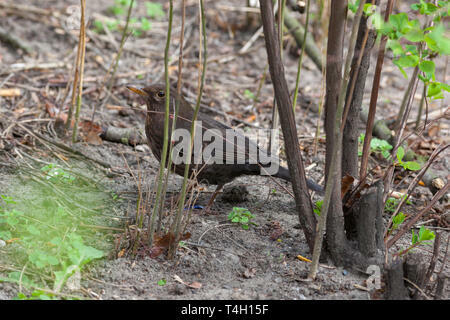 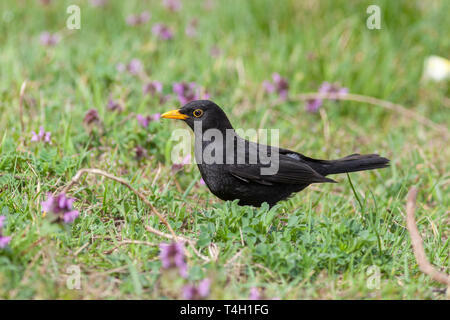 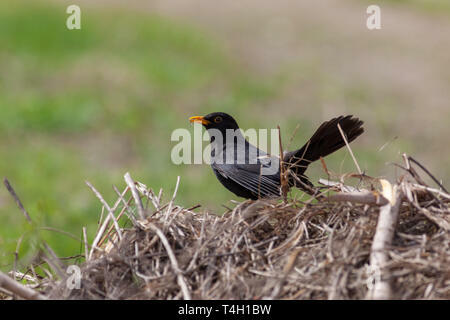 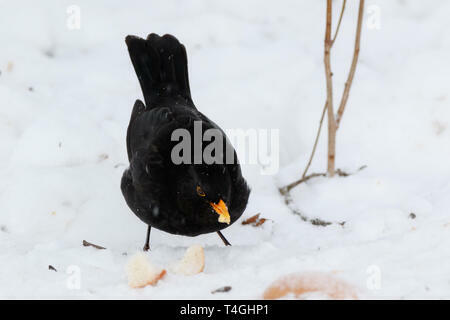 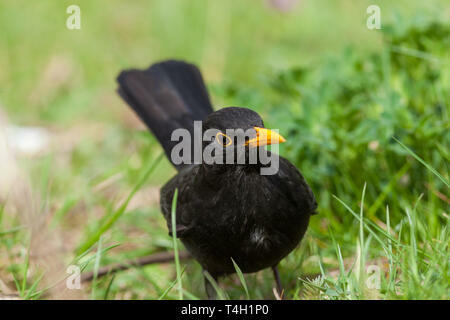 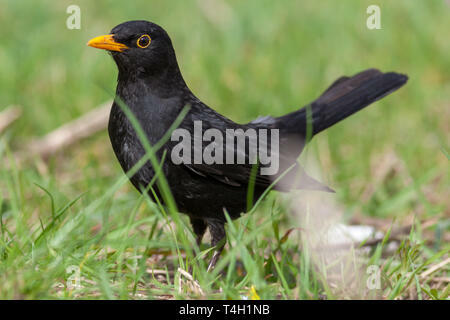 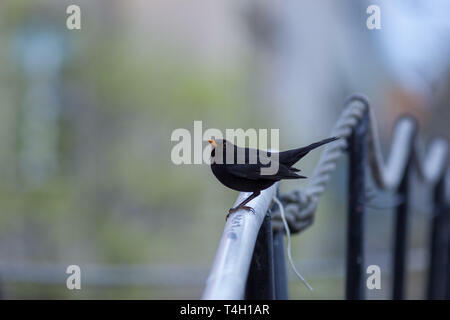 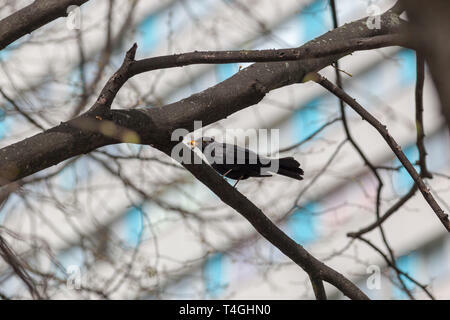 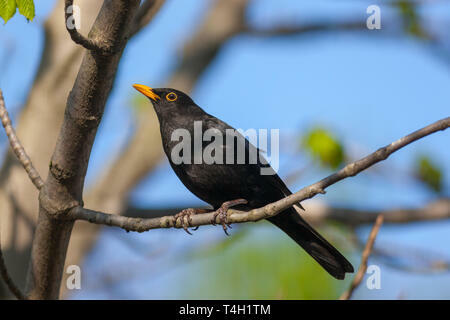 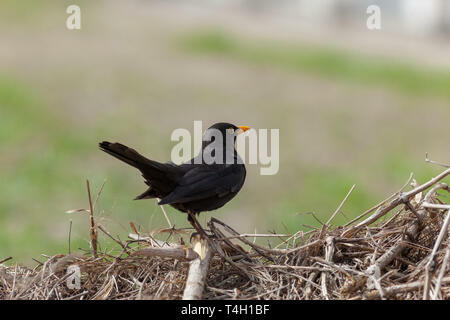 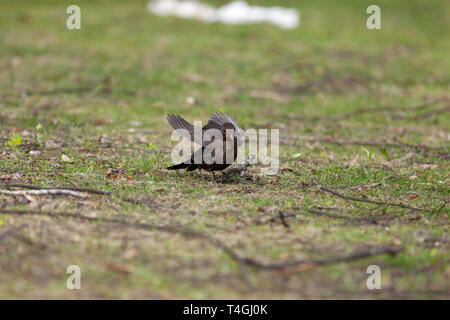 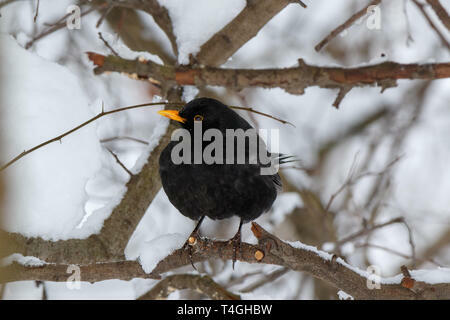 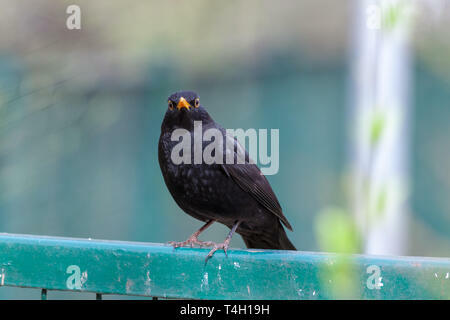 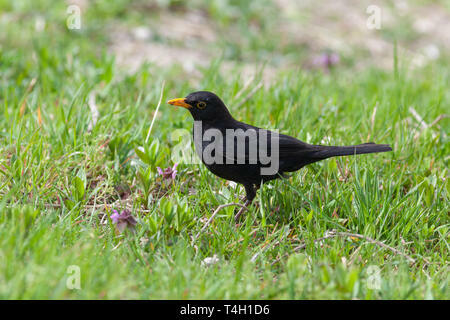 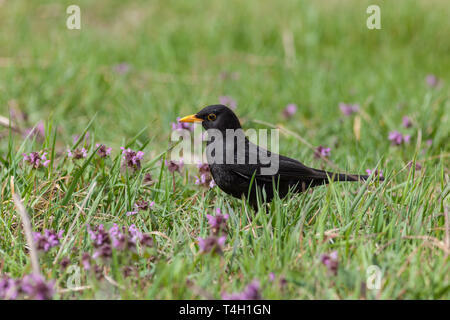 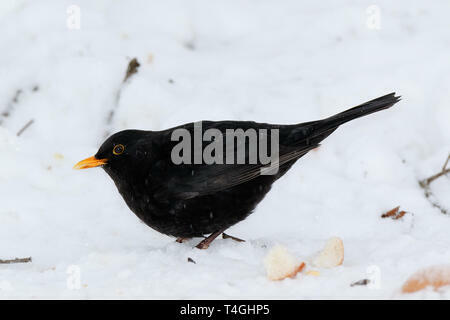 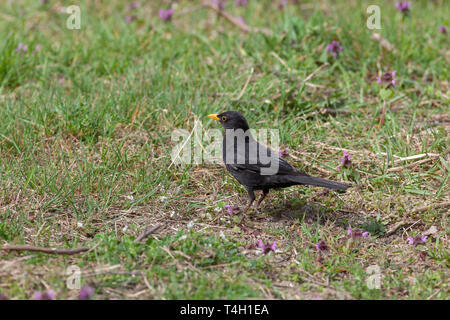 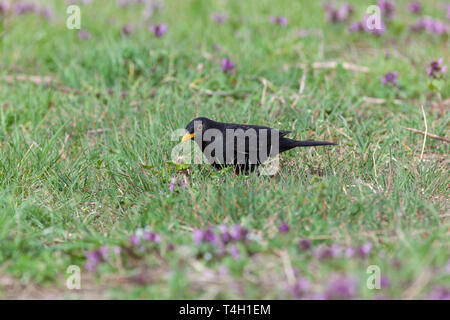 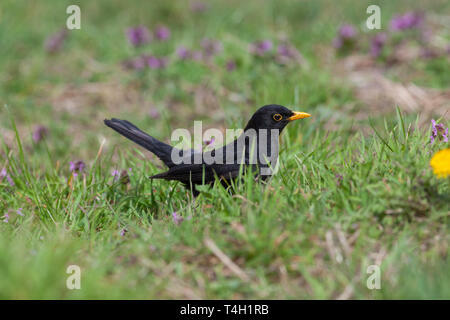 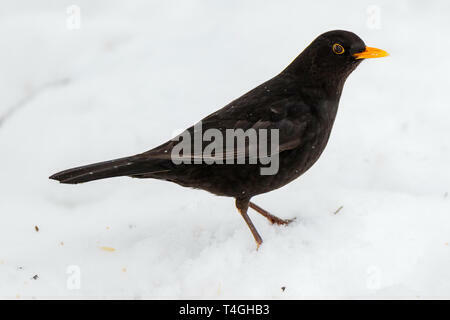 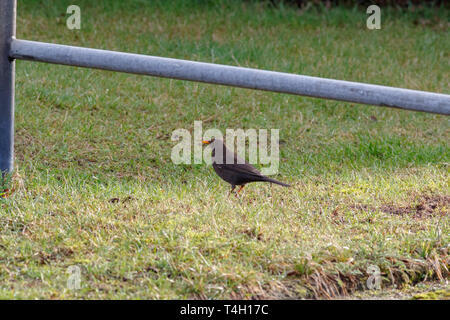 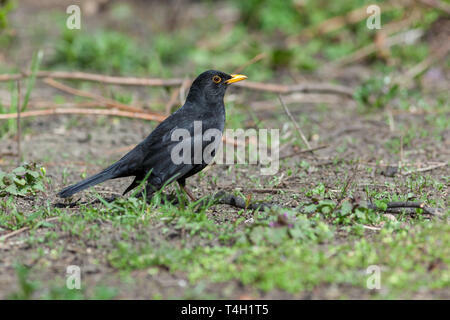 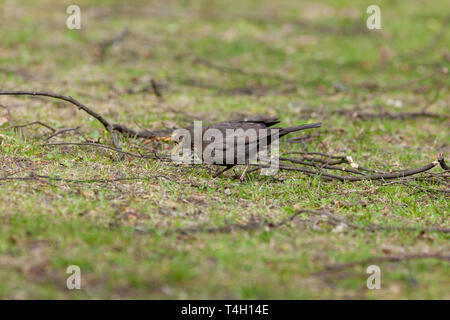 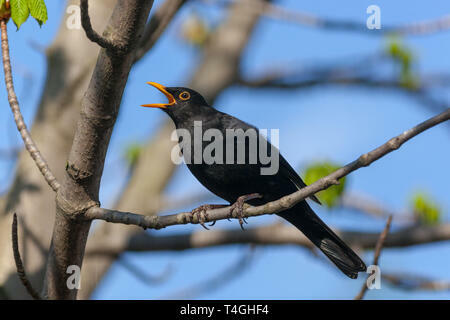 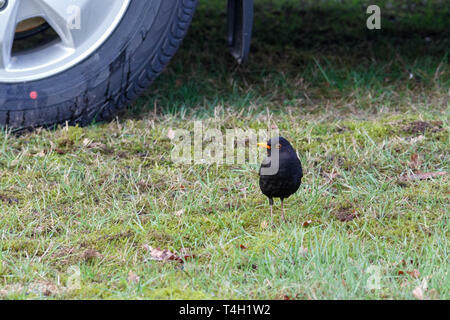 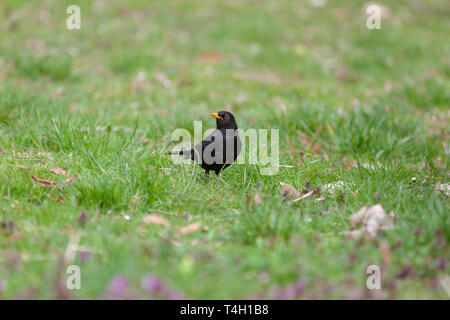 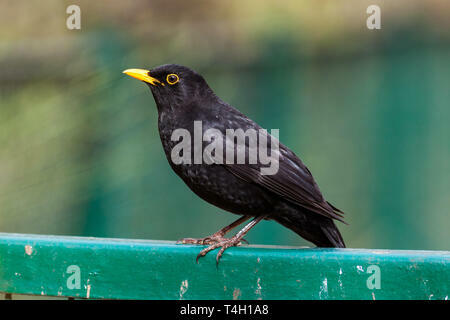 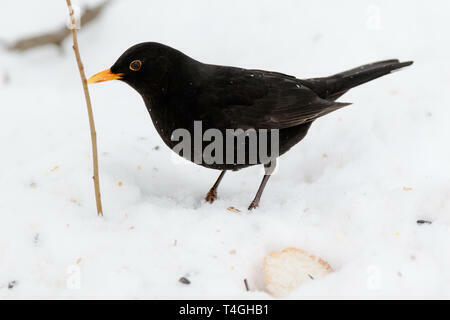 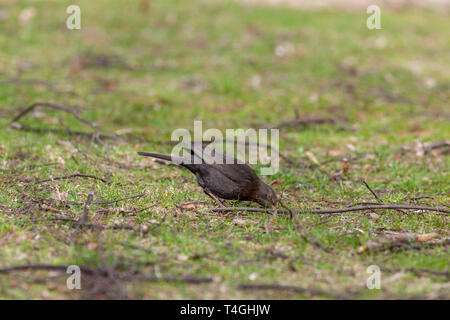 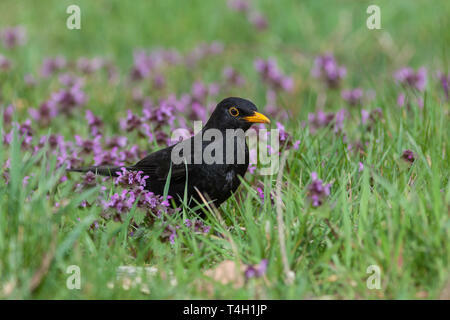 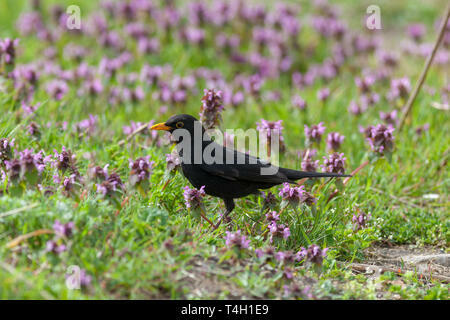 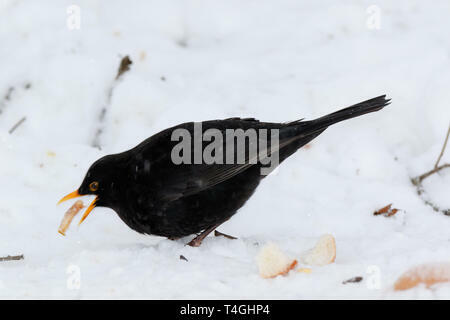 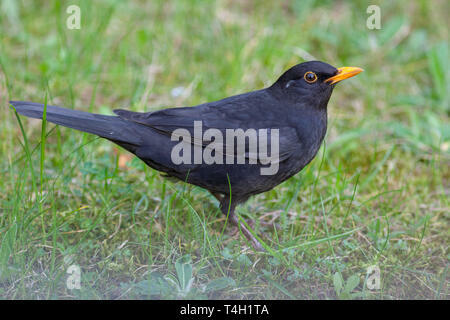 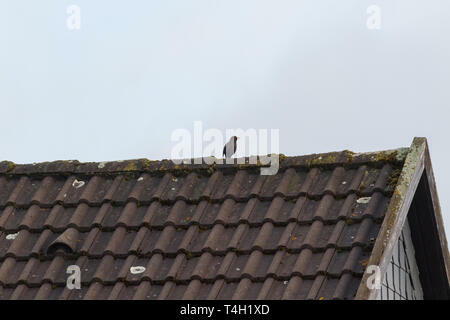 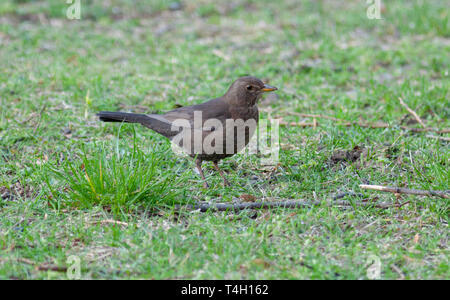 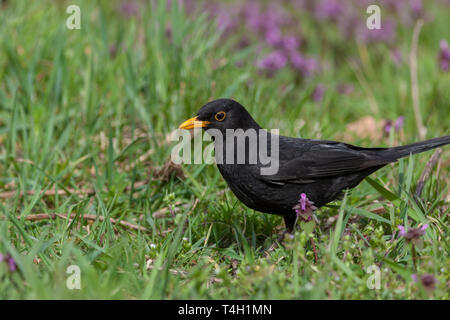 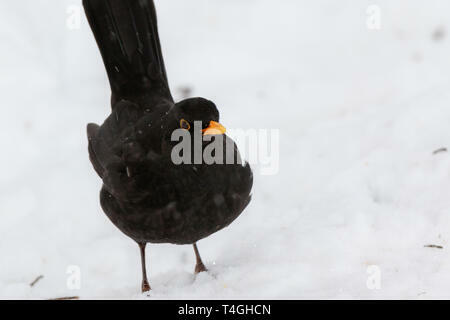 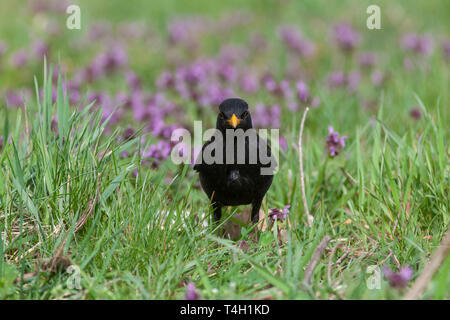 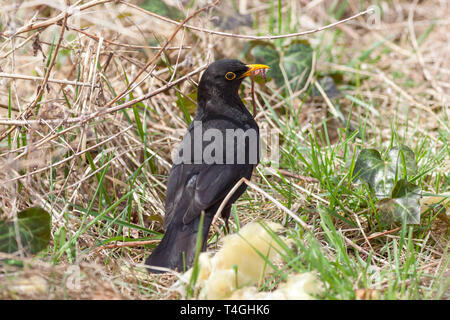 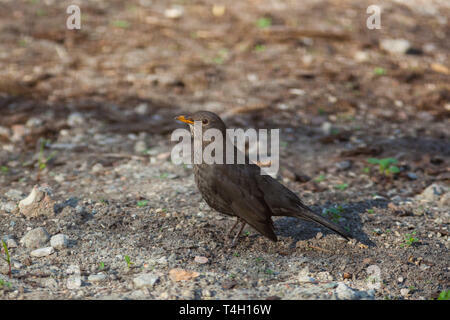 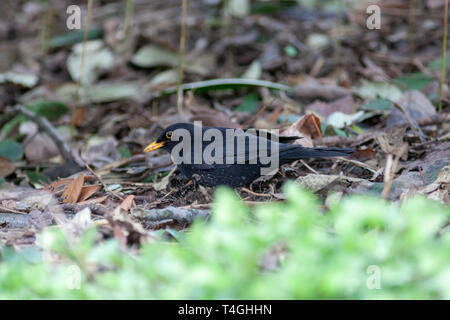 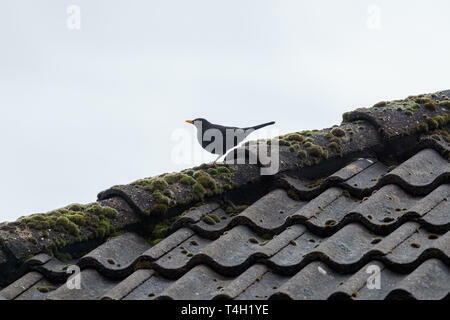 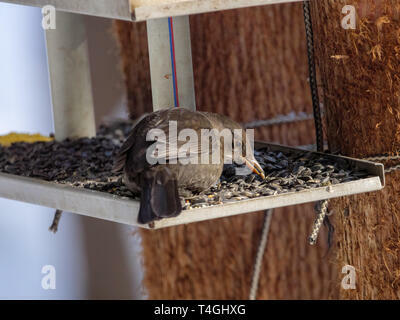 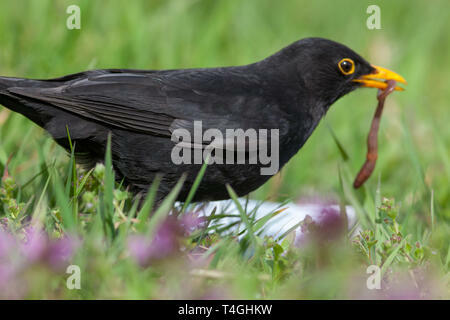 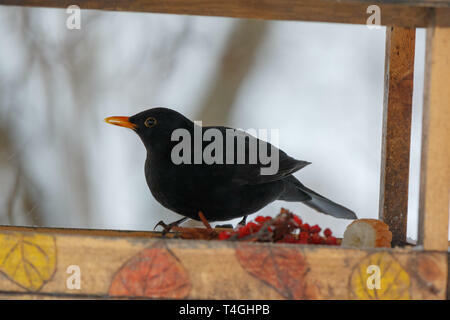 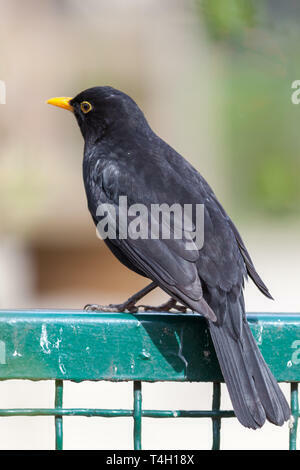 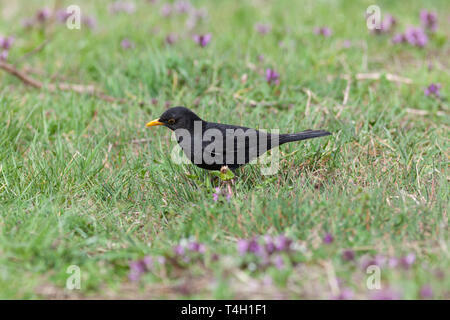 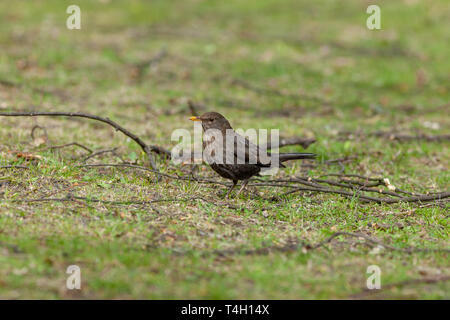 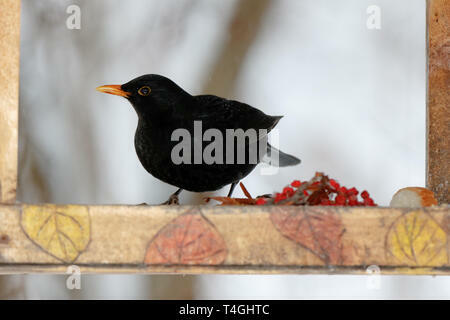 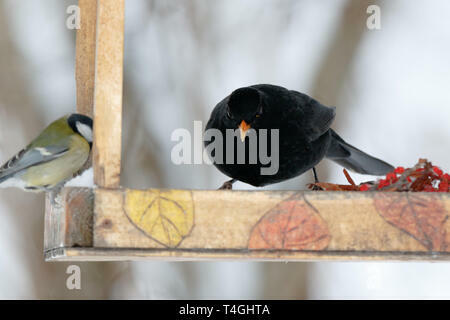 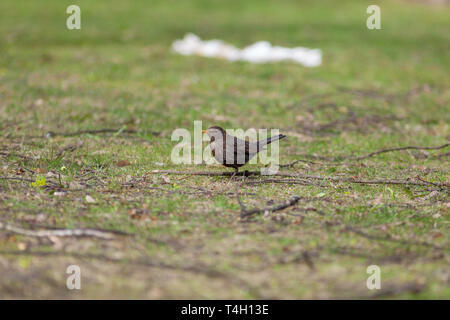 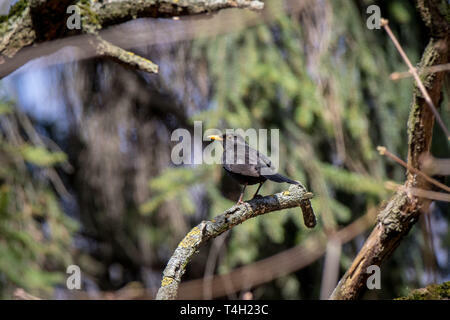 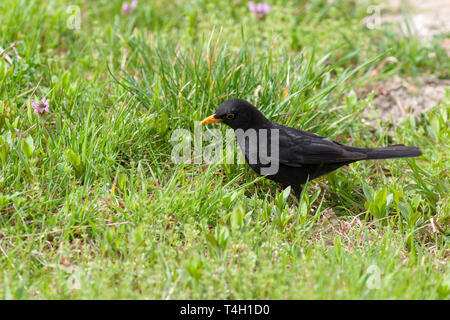 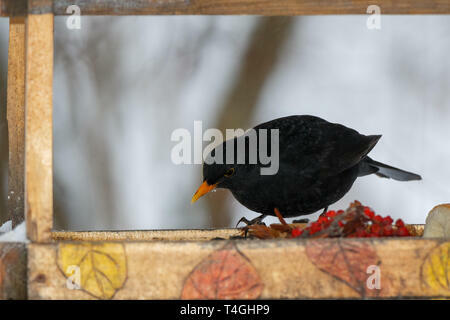 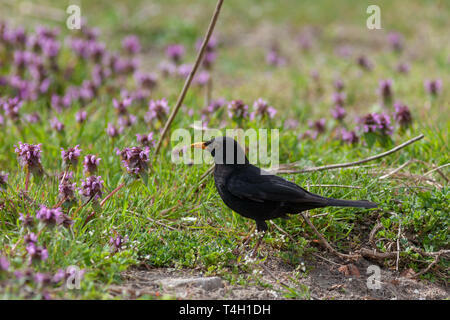 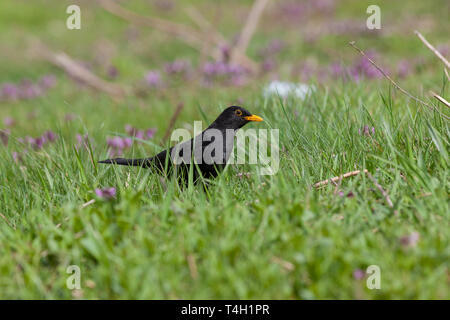 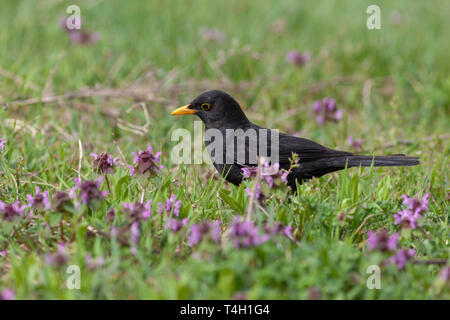 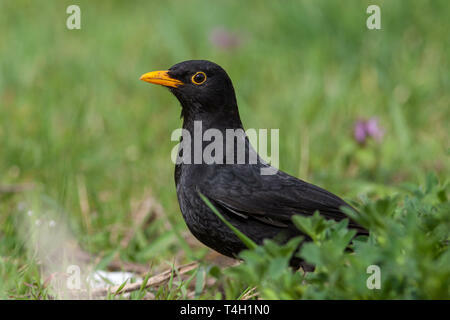 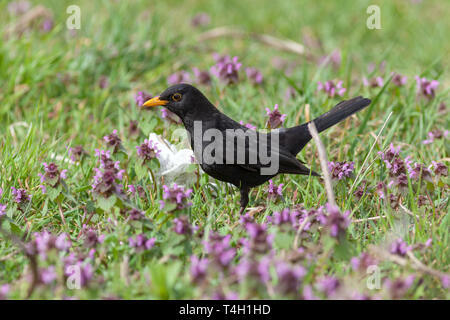 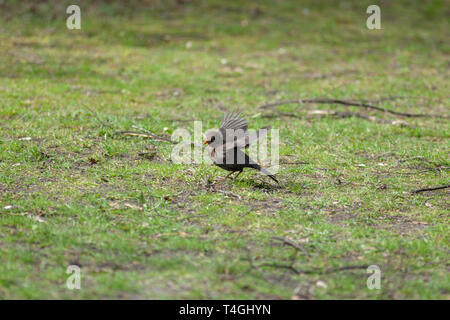 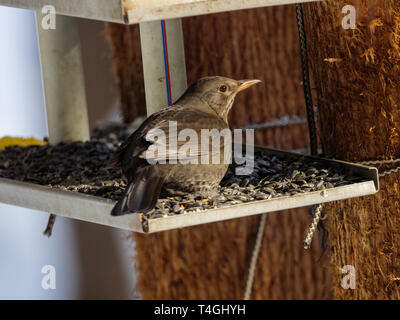 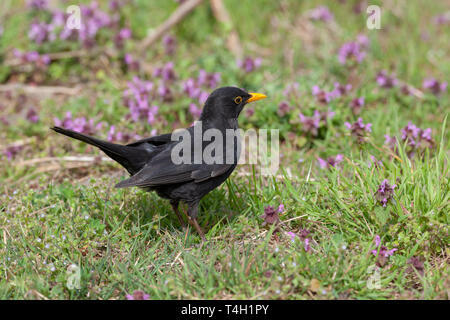 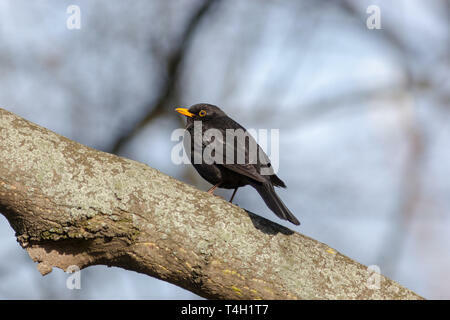 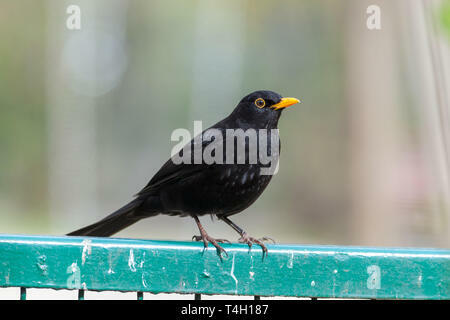 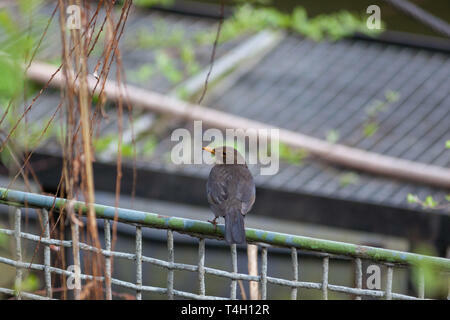 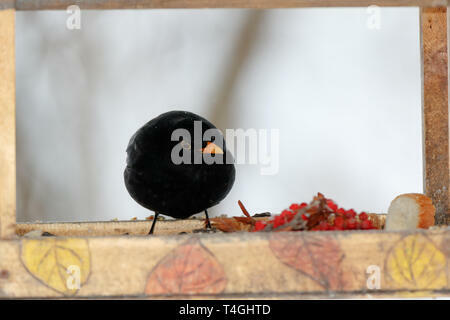 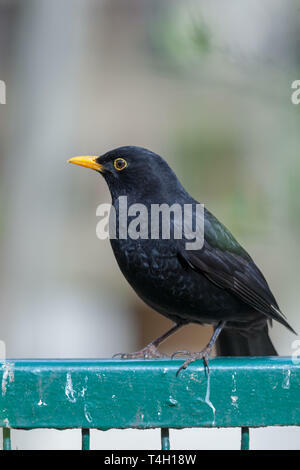 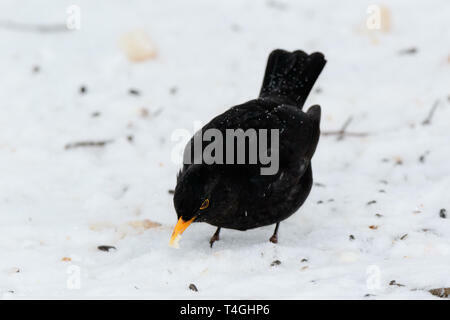 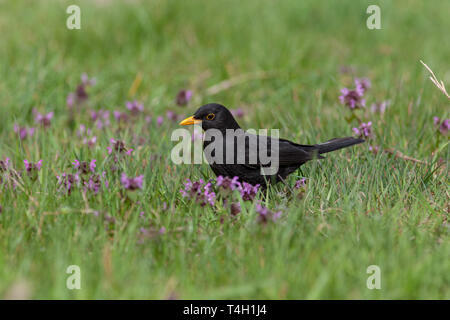 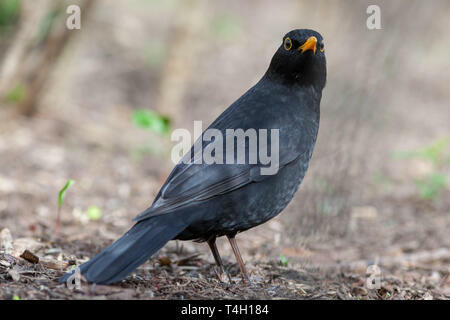 Blackbird (Turdus merula). 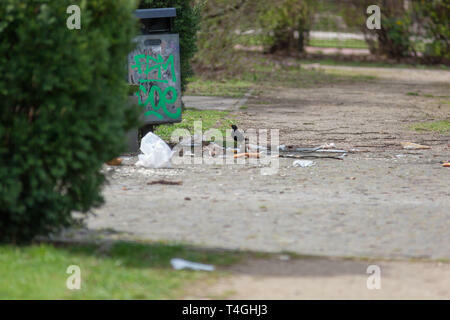 Germany, Berlin. 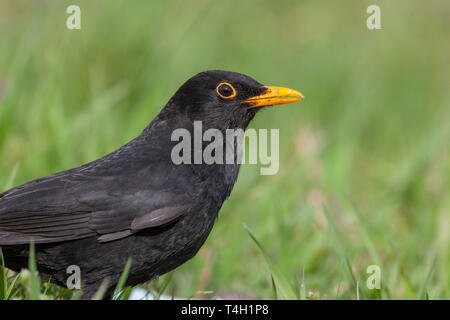 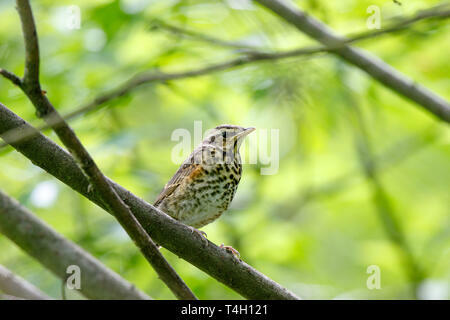 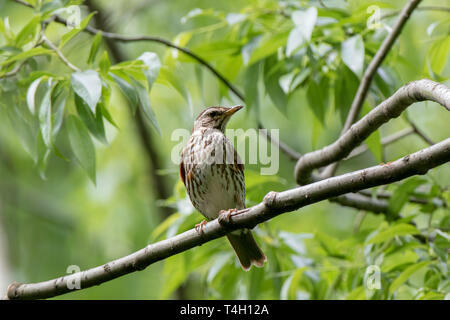 Turdus merula. 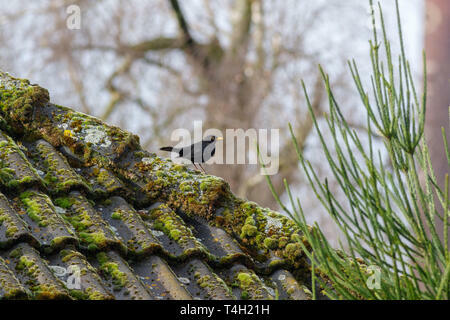 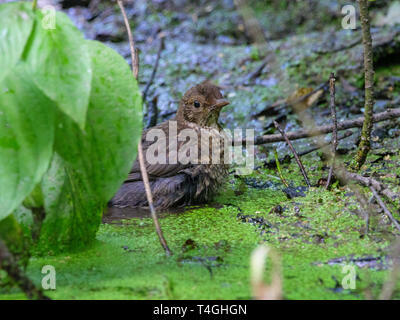 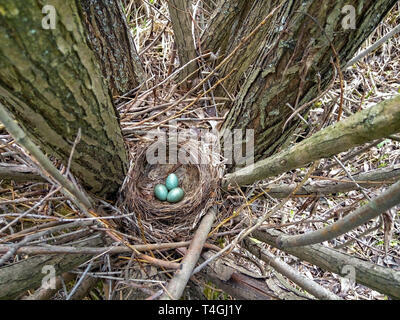 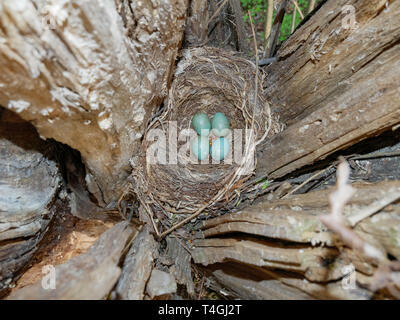 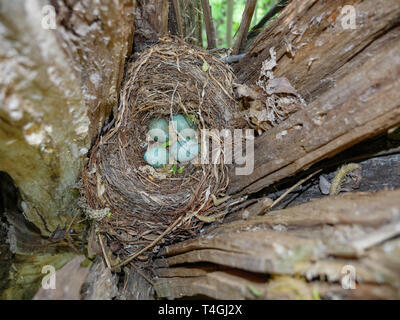 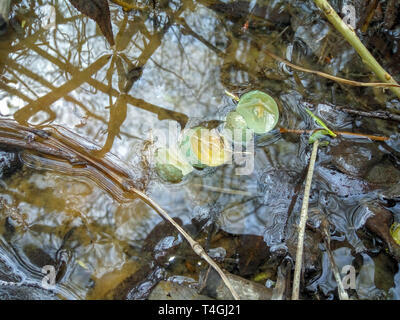 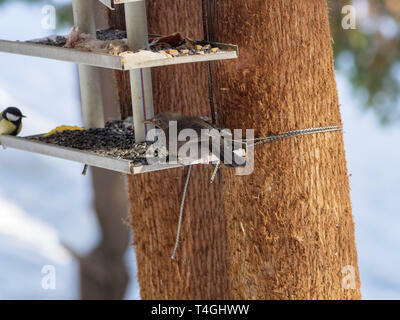 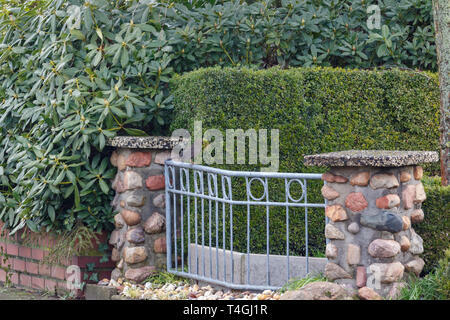 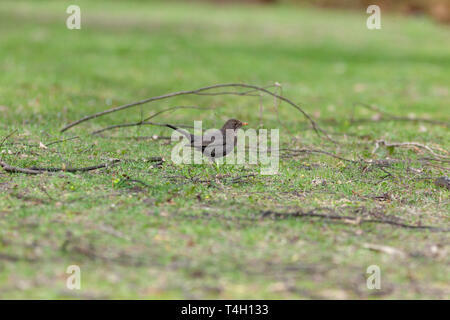 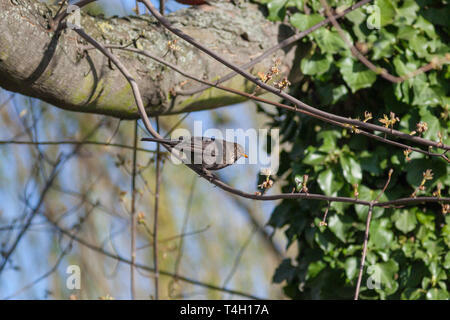 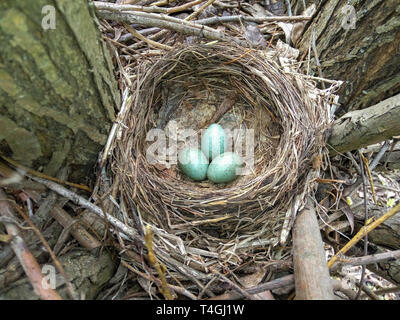 The nest of the Blackbird in nature.